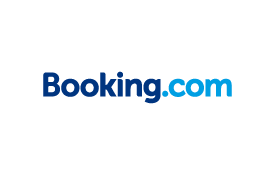 Booking.com guarantees the best prices for every type of property, from small, family-run bed and breakfasts to executive apartments and five-star luxury suites. Truly international, booking.com is available in more than 40 languages and offers more than 1,500,000 properties in more than 220 countries and territories. You can now earn Skywards Miles when you book a stay at any of more than 1,500,000 properties through emirates.com. Thanks to our enhanced partnership with booking.com, you'll earn 1 Skywards Mile for every 1 Euro that you spend on all hotel reservations, inclusive of taxes. *Reservation must be made via emirates.com in order to earn Skywards Miles. Please note that reservations made directly on booking.com will not earn Miles. There is no minimum or maximum nights per stay and no cap on the number of Skywards Miles you can earn. *Reservations must be made via emirates.com in order to earn Skywards Miles. Please note that reservations made directly on booking.com will not earn any Miles. Emirates Skywards members can earn Skywards Miles for stays on reservations made for themselves via emirates.com/english/planning-your-trip/hotels, provided the correct Emirates Skywards membership number is entered into the reservation. Emirates Skywards members who have booked nonrefundable stays and who cancel or fail to check in at the property will be charged for the room and will not earn Skywards Miles. Skywards Miles will be credited to the Skywards member's account approximately eight weeks after check-out from the property. In the event Skywards Miles are not credited to your Skywards account, you can claim them by logging in to your account and completing the online claim form. By booking accommodation via emirates.com/english/planning-your-trip/hotels, Emirates Skywards members consent and authorize Emirates to collect, use, and transfer selected information, including title, first name, last name, membership tier, and Skywards Miles balance. Booking.com’s policy for the use and disclosure of personal information may be different from Emirates' policy. Booking.com may not be bound by privacy laws that provide the same level of protection as those binding Emirates. All hotel reservations and payments are handled by Booking.com. Booking.com terms and conditions apply (opens an external website in a new tab). Hotel loyalty program tier status, points, or privileges will not be extended on bookings made through emirates.com/english/planning-your-trip/hotels.